You will truly enjoy this beautifully kept 3 bedroom, 2 bath condo, located in the safe gated community of Vernon Village located at the Minerals Resort & Spa at Crystal Springs on Mountain Creek Ski Resort. This beautifully house kept condo is located on Mountain Creek Resort's Granite Mountain and a short 0.5 mile drive or shuttle ride to either the Main lodge of Vernon Mountain and South Mountain lodges and one of the east coast largest Snow Tubing park. You can enjoy skiing/snowboarding/tubing, golfing, mountain biking, hiking, wine tasting and the gorgeous Minerals and Elements Spa and Resort. Granite quad lift is just a 3 minute walk or take a free shuttle to the other resort peaks. Mountain Creek is a year round resort offering biking, golfing, hiking, antiquing, water park, or just relaxing by the resort's waterfalls, swimming pools, tiki bar or a day of spa treatments at Elements Spa. Kites restaurant/bar/dance club is a short walk. All linens and complimentary toiletries and coffee are provided to make your stay even more enjoyable. Great things to do! : Situated in the beautiful Vernon Valley of Northern New Jersey, on Mountain Creek at the elegant Minerals resort at Crystal Springs. 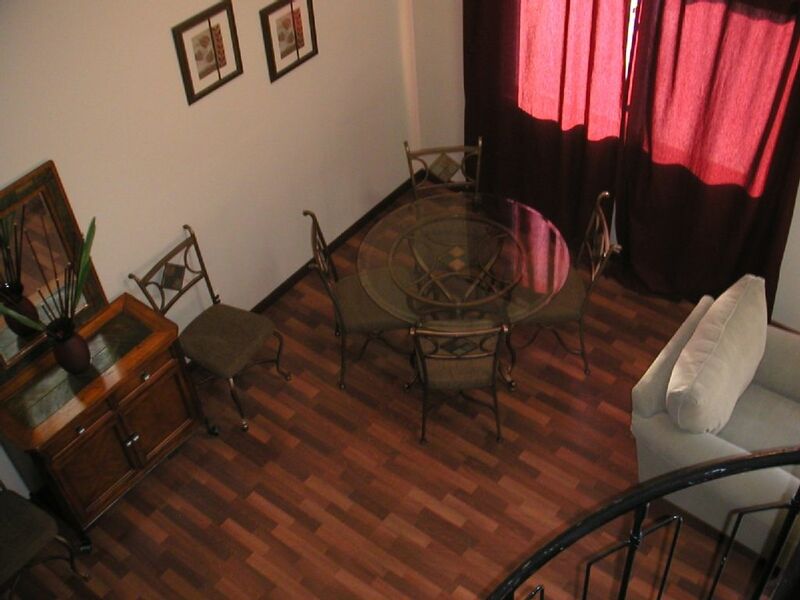 The condo is right in the middle of great family outdoor and indoor activities throughout the year. Of course, in the winter, we're a full-on ski, snowboard and snow tubing resort, with 46 trails, 11 lifts, 7 snow tubing lanes on a dedicated hill, a huge network of terrain parks and the regions only Superpipe. Summertime at Mountain Creek means splashing family fun at the Mountain Creek WaterPark, and downhill mountain biking excitement at the Diablo Freeride Park. Experience world class golfing just minutes from Mountain Creek. Choose from six award-winning golf courses, each with its own set of characteristics and challenges. From beginners to experts, the courses offer adventures for everyone! And, let us not forget all the local winerys that offer a truely amazing wine tasting and culinary experience. Wine tours are available year-round. Dining in the Area: In the winter, you'll find dining and nightlife options for all tastes, from quick to relaxing, located at our Vernon and South base areas. The action at the Hex2 Bar and Moguls is just getting started after dark, with live music and special food and drink nights, the fun's happening at Mountain Creek after dark. In the summertime, you'll enjoy the Vernon region's countless dining options, from fancy French cuisine in quaint Warwick, NY, to melt-in-your-mouth sushi in Franklin, NJ - and everything in between! Of course, there are plenty of places to find a great burger and a pint too! The Summer nightlife heats up with regional live music acts frequenting the area. And what could be better than a cocktail with friends after a great golf game? How about an outdoor bar overlooking the rolling green mountains of the Vernon area?! No, it's not like going out in New York (for your wallet either!) - it's all about getting a taste of the local culture! From Franklin, NJ, to Warwick, and NY. Mountain Creek Waterpark: Sometimes you just need to cut loose! That’s what Mountain Creek Waterpark is all about—a day of thrills that will leave you breathless. So bring your courage and get ready for an over-the-top experience you won’t soon forget. The waterpark is located a short drive or free shuttle ride from the hotel to Vernon Peak (north peak). Bathrooms have a hairdryer, full linens, and complimentary soap, shampoo, and body lotion. Everything to make your stay as relaxing and enjoyable as possible. Located at the spa and resort for a paid per person usage charge of $25 (adult) and $15 (teen) $0 children per day under the use of the owner's membership card. Card must be returned at checkout. Everything is provided for you to make your stay as comfortable and as "at-home" as possible. NETFLIX provided ONLY through fire TV. There is No basic cable. You are welcome to access Hulu and Amazon through your own passcode though Netflix is provided free. Classic board games provided for family time fun and relaxation indoors. On the mountain at the clients expense. There is a chairlift that is a 3min walk from unit. Located at the spa and resort for paid use. Located at the spa and resort for a paid per person usage charge per day under the use of the owner's membership. 6 passes included for free community pool use during summer season only. Please note that SPA PASSES, are NOT included, but available under the owner's corporate membership (Minerals SPA has indoor pool, basketball courts, racquetball cts, weight room, cardio room, jacuzzi, indoor jogging track, elements full spa services massage, facial, peals etc, ). The owner has become a corporate member of the spa for clients staying in this condo only, but will required a daily use copay at the spa (child under 6 free , children 6-17 at $8 weekday and $15 weekend, adults at $15 weekday and $25 weekend). Fun, relaxing, and well worth the visit. There is a one time housekeeping & linen fee of $100 that will be included in the final payment (all linens and towels are provided). An optional daily housekeeping plan, including but not limited to, bed making, new towels, and light cleaning can be provided if requested in advance. Gratuities encouraged. Cozy home close to the slopes!! Perfect place for our party of 6! The house was warm and inviting. Noreen, the property manager, met us to go over everything and could not have been nicer. Everything we needed was available and the house was clean and well kept. Thanks so much Tina for letting us rent your beautiful home. We will definitely be back!! Thanks for the kind words Ray. We truly enjoyed having your family stay with us. We always pay great attention to details and take our clients comments seriously. Your comfort is my top priority. I look forward to having you and family stay again and I wish you all a great holiday season! This was the first time we have had to leave a rental. The smoke smell and mold in shower were unacceptable. The towels and comforters were old. We contact the owner and she agreed to let us out of our contract. She was apologetic and said she would be addressing the issues . She refund us our money quickly however we cannot recommend this rental unless it is updated. I am sorry about your stay and have made the appropriate updates. All my past guests including those who stayed the week before absolutely loved the unit and have already set up dates to stay in the winter during the ski season. I also have a long list of return guests who come back year after year to enjoy my home. I haven’t had anyone state any issues in the past, so thank you for bringing it to my attention. There was some discoloration under a portion of caulking (not mold) on the shower and on the shower door. I immediately had a plumber remove all the caulking and replace it, and removed and installed a brand new shower door to correct this minor issue. The unit strictly enforces a no smoking policy and has many placards throughout the rooms reminding travelers not to smoke indoors. This “smoke smell” was caused by the outside of the building as it was just freshly painted by the Resort and the decking freshly stained only days before your arrival. However, in proactive light of this, I have had the entire condo professionally steam cleaned, linens dry cleaned, and ran HEPA filters. I hope this helps my future guests as I am always here to accommodate my guests and wish a good stay at my condo by all. Drive from Philadelphia was a little rough due to mountain drive. But place and surrounding was just fabulous. Enjoyed the stay. I’m glad you and your family had a nice stay and enjoyed the accomodations. We will always go out of our way to make your stay as comfortable as possible. Hope to see you and the family again. The on-site manager was very nice and accommodating, and the space was clean and conveniently located for visiting Crystal Springs or Mountain Creek areas. Perfect for a few friends on a golf weekend or 1 to 2 family’s looking to enjoy summer or winter activities. And the wifi worked like a charm! Thanks for your kind words and I'm glad you and your friends enjoyed the unit and your time together. Hope to see you guys back again next year. Great location. House was perfect. My group loved the place. Attended a wedding at the nearby lodge. Free shuttle to water park and other resorts in the area. Perfect trip with the perfect place. I am so glad that you loved the unit and were very comfortable. I hope you enjoyed your wedding and time with family and friends. Forget about driving all day and spending hundreds of dollars on gas to get to great year round family recreation. Mountain Creek Resort is beautifully situated amidst the mountain landscape of Vernon, New Jersey, just an hour and a half drive from the George Washington Bridge! The closest major airport is Newark Liberty International Airport in Newark, NJ. Golf: Experience world class golfing just minutes from Mountain Creek. Choose from six award-winning golf courses, each with its own set of characteristics and challenges. From beginners to experts. Ski: South Peak is 'The Largest Park in the East.' With more than 60 acres of progressive freestyle terrain across South and Bear Peaks and 2 dedicated high-speed quads, SOUTH is the ultimate terrain fun zone. The mountain is divided into 6 'neighborhoods' to provide the best of intro-zones, Old School, Throwback, Junkyard, Bonks, Advanced and Jumpline! Whether you're a newbie or an old pro, we've got the perfect set-up for you to get your ride on. North Peak or Vernon Peak is home to classic beginner-through-expert terrain on Vernon and Granite Peaks.First-timers, families and all leisure skiers and snowboarders have all level of trails to play on including 5 great intermediate cruisers on 'The Backside'! With our high-capacity Cabriolet Gondola to whisk you to the top and night lighting until 10pm, the day is plenty long to get in all the runs you need.